Dog quotes has it right with its simple statement, "The Best Things in Life are Furry"! Woof woof to that! 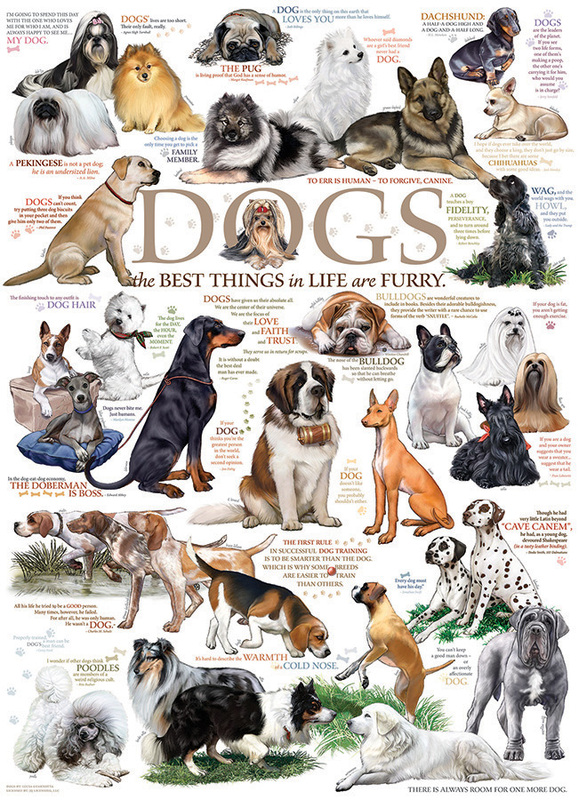 Dogs of all breeds grace this 1000 piece puzzle with hilarious sayings that will make you feel happy to love dogs! Case Pack 12 mix/match Width 10"
Item # 80096 Weight 1.61 lbs.